Aircraft safety is important, particularly to those in flight. One way product developers in the aviation industry are bringing extreme security to their systems with with the seL4 microkernel. This platform provides the formal proof of security for mixed criticality functions running concurrently on a single piece of hardware. The strength of the seL4 microkernel is enough to shield critical processes from malicious hacking activities that, on unprotected systems, could take over an aircraft’s controls in mid air. 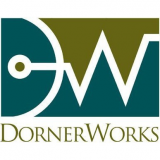 DornerWorks has been working with seL4 for years, and along with being awarded a SBIR contract from U.S. DARPA for porting the seL4 Microkernel to RISC-V architecture, has been instrumental in working with other members of the seL4 Center of Excellence in expanding the seL4 ecosystem. Read more about the extreme security seL4 brings to aerospace engineering by clicking the button below.